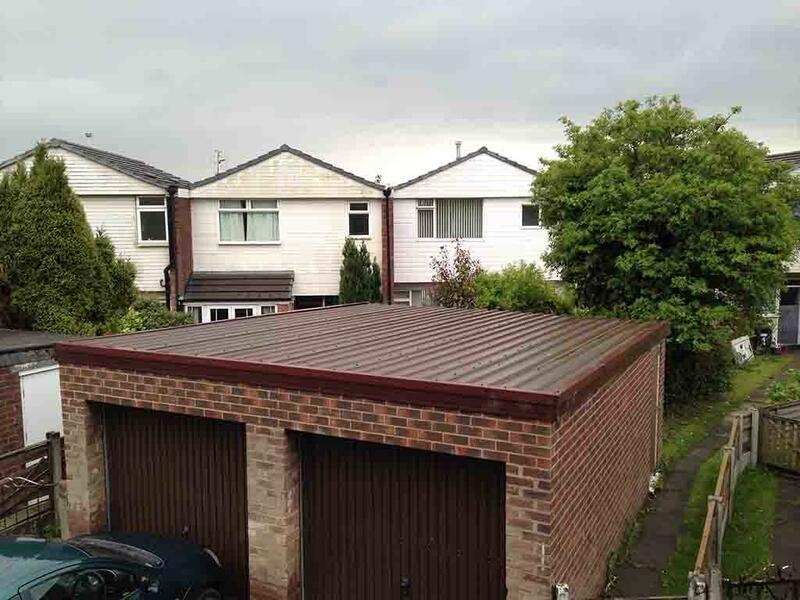 The first piece of advice we can offer if you have an Asbestos garage roof is “Don’t Panic”. 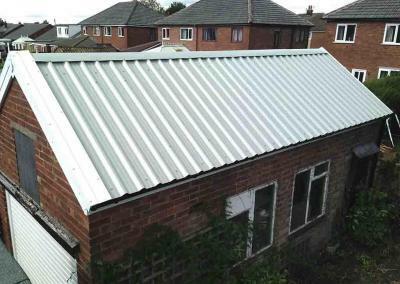 The type of Asbestos used in domestic garage roofing is known as Chrysotile or more commonly, White Asbestos. 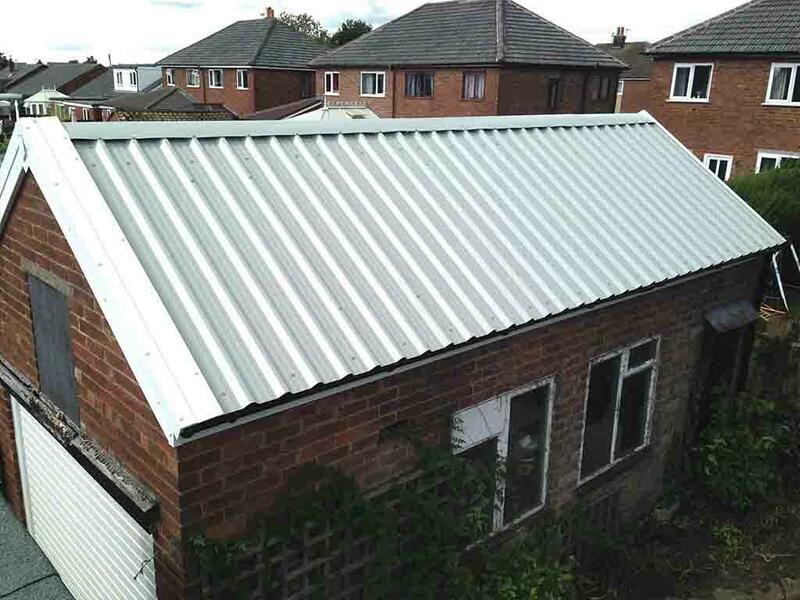 Although White Asbestos is still classified as a hazardous material, due to very low Asbestos content it is considered to have a very low risk potential and although we always recommend due diligence when dealing with Asbestos if your roofing panels are undamaged and undisturbed the risk to your health is minimal. 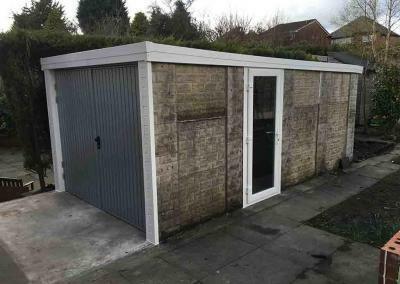 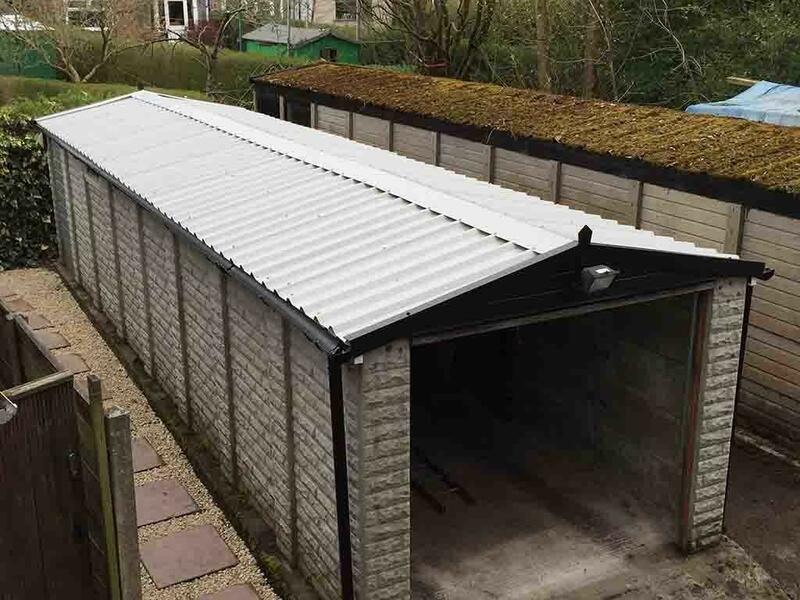 Should your Asbestos garage roof have suffered any impact damage or deterioration then a little more caution is required, avoid unnecessary exposure and take care to minimise disturbance until you can have the garage roof replaced. 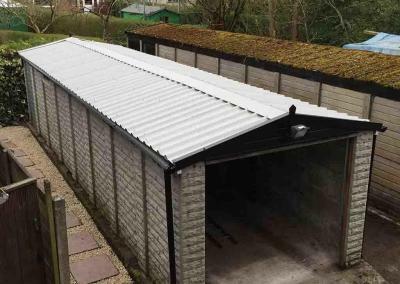 Regardless of the type of garage roof you currently have, our maintenance free garage roofing systems can give your garage a new lease of life. 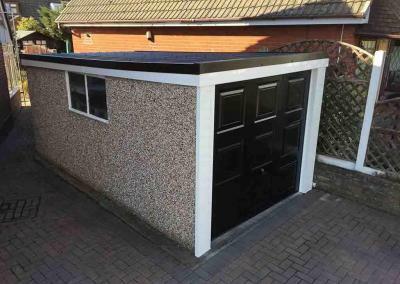 Our straightforward approach and hassle-free quotation process means that you can replace your existing garage roof with just a few simple steps and total peace of mind. 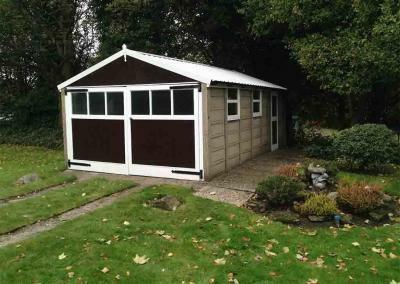 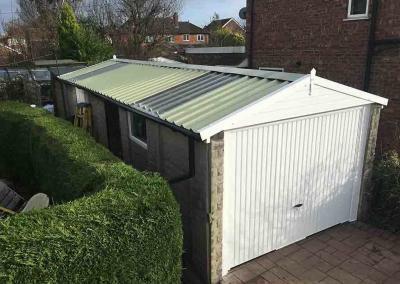 Damaged or not, having an Asbestos garage roof places restrictions on the functionality of your garage. 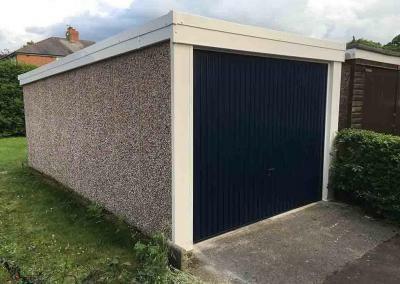 The associated health risks prevent using your garage as a usable space such as a workshop or gym but the real damage is from the release of Asbestos fibres which can contaminate the contents of your garage preventing the storage of sentimental and financially valuable items. 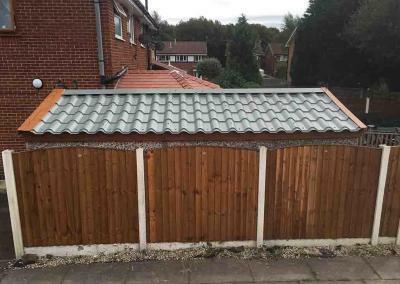 Although harder surface items can be cleaned, penetration of soft materials and fabrics can leave items dangerous and unusable. 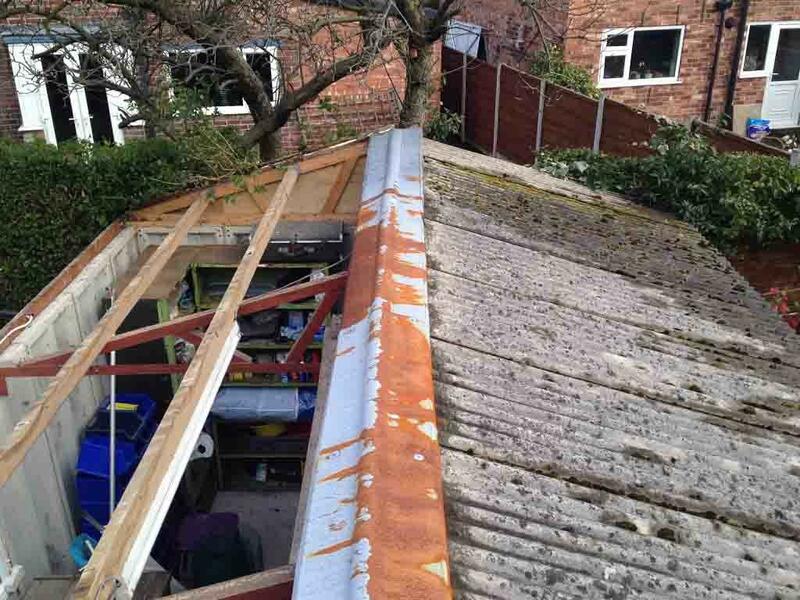 Our operatives are trained and certified to work with Asbestos and our company is fully licensed to transport and dispose of Asbestos material. As the homeowner it is your responsibility to ensure that any company you hire disposes of the Asbestos waste safely and within the regulations. 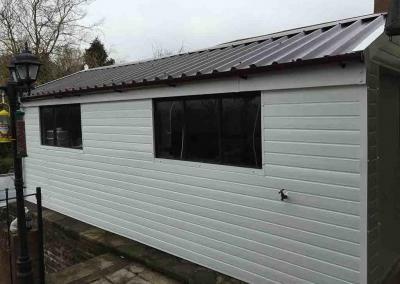 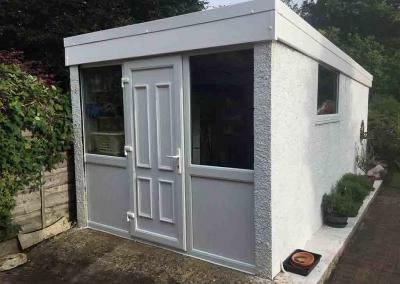 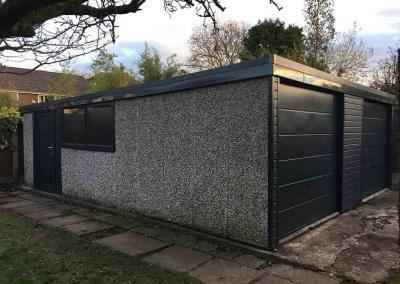 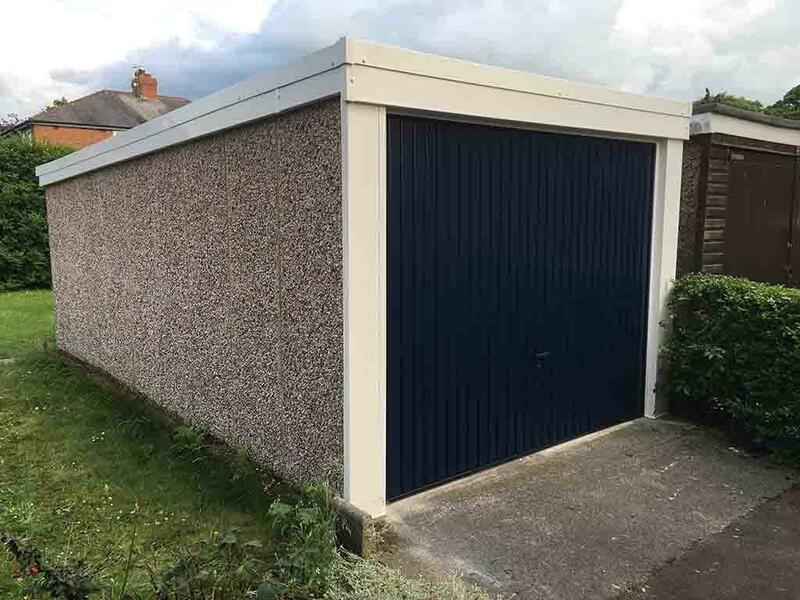 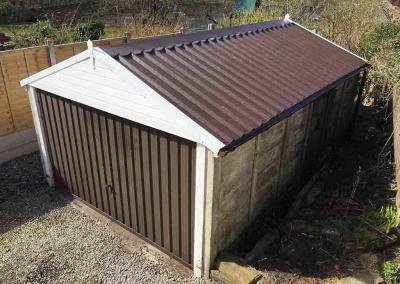 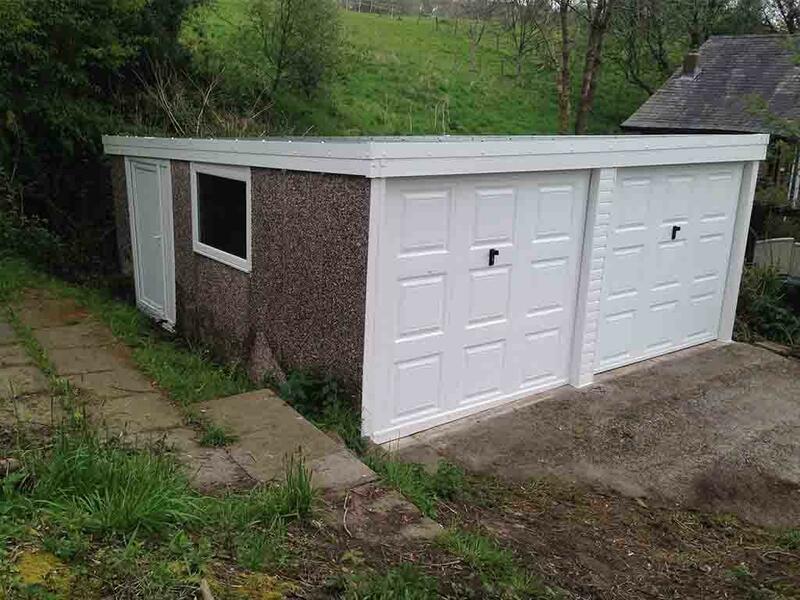 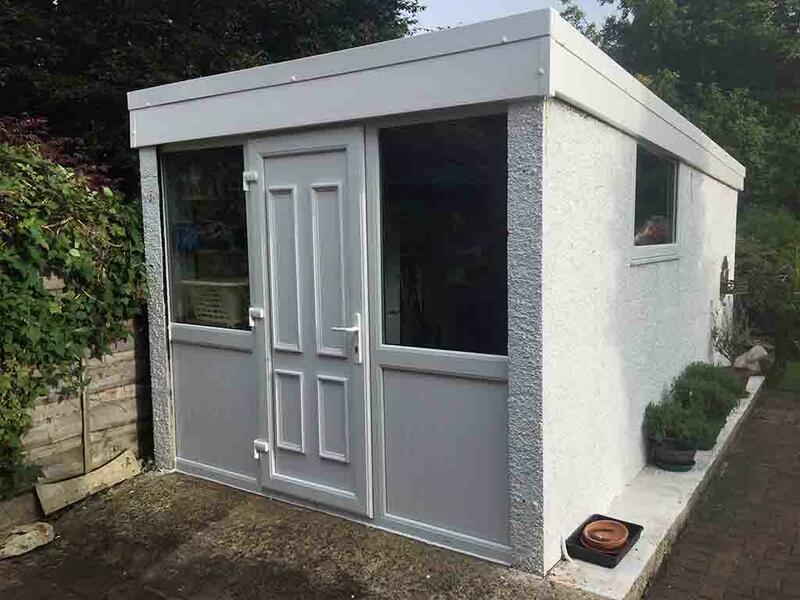 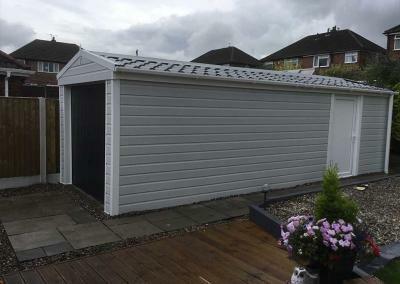 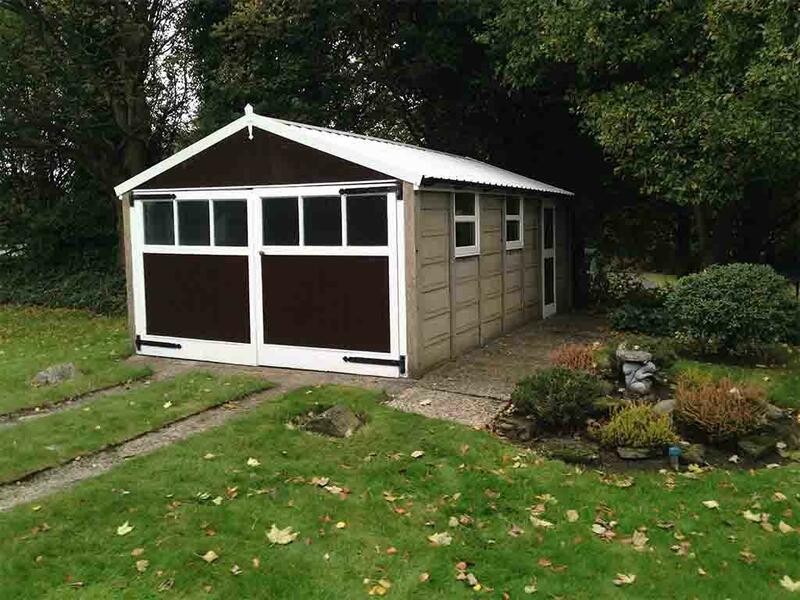 Our garage roofing systems are based on a high grade galvanised steel profiled garage roofing panel which can be used to replace any type of garage roof including Asbestos and Cement-Fibre garage roofs regardless of size or shape. 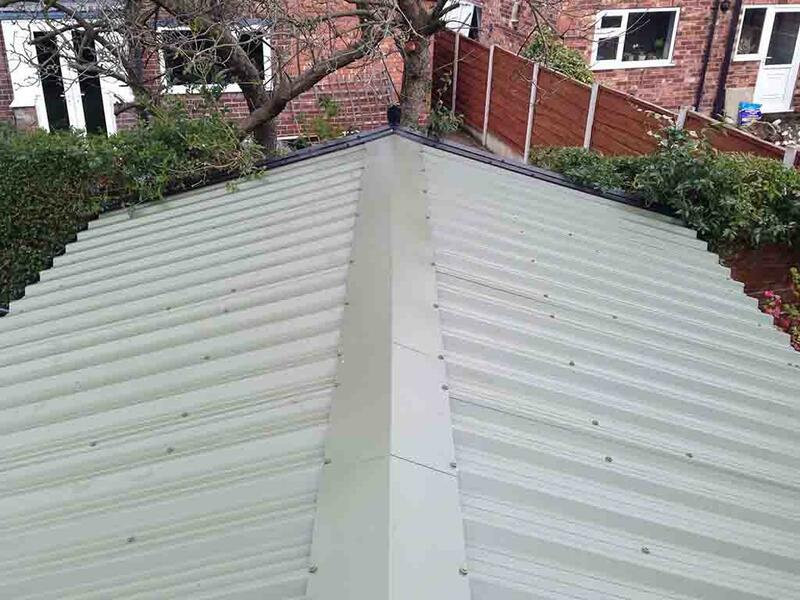 Our lightweight profiled roofing panels are robust and versatile manufactured with a Plastisol coated exterior layer combined with an anti-condensation ‘DRIPSTOP’ felt membrane which is fully adhered to the underside. 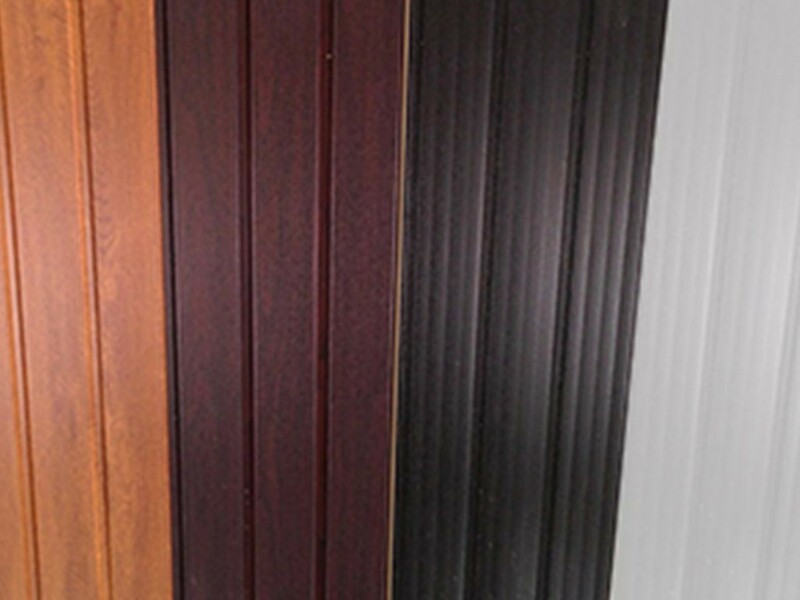 Plastisol in simplest terms is liquid plastic, it is created by suspending PVC particles within a liquid plasticiser which when heated beyond a certain temperature can be infused, moulded or coated to serve different applications. 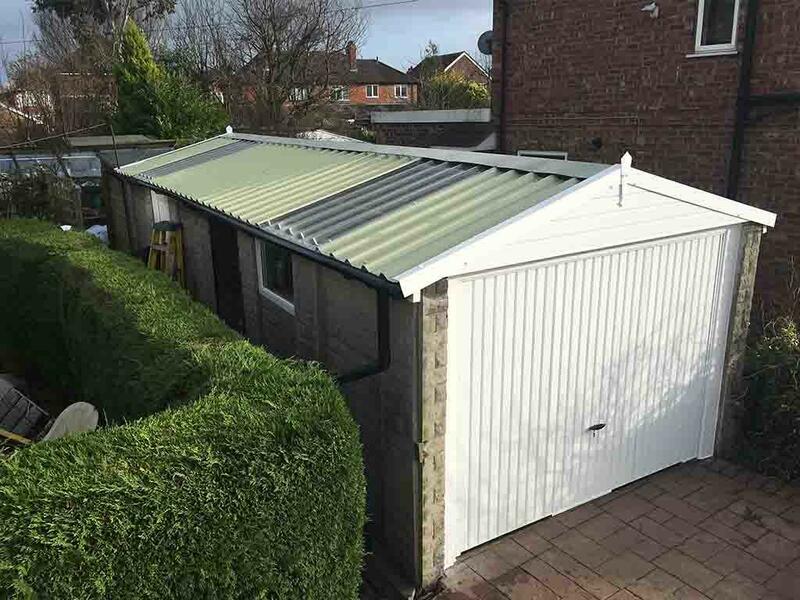 In garage roofing panels the Plastisol is heated, coated and then cooled to form a strong but flexible barrier which provides the garage roofing panel with an additional layer of protection from changing weather conditions whilst also increasing the roofing panels physical damage resistance. 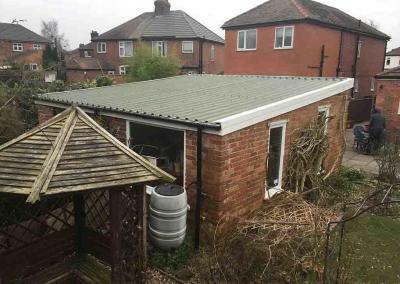 Garage roofing panels with DRIPSTOP anti-condensation felt membrane provide a medium for trapping moisture, the DRIPSTOP membrane then holds the moisture until it can be released back into the air in the form of normal humidity. 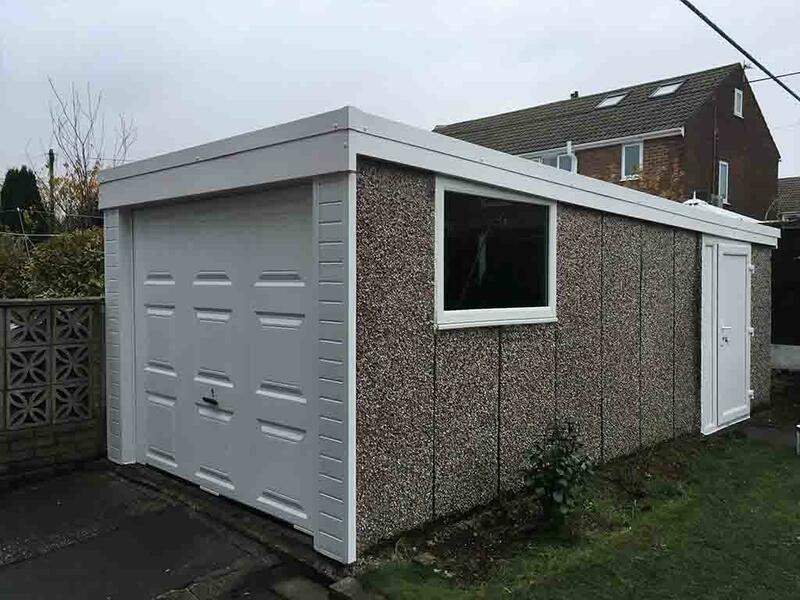 Other benefits include increased noise reduction and increased resistances to material fatigue and mold providing an additional layer of protection for your Garage Roof. 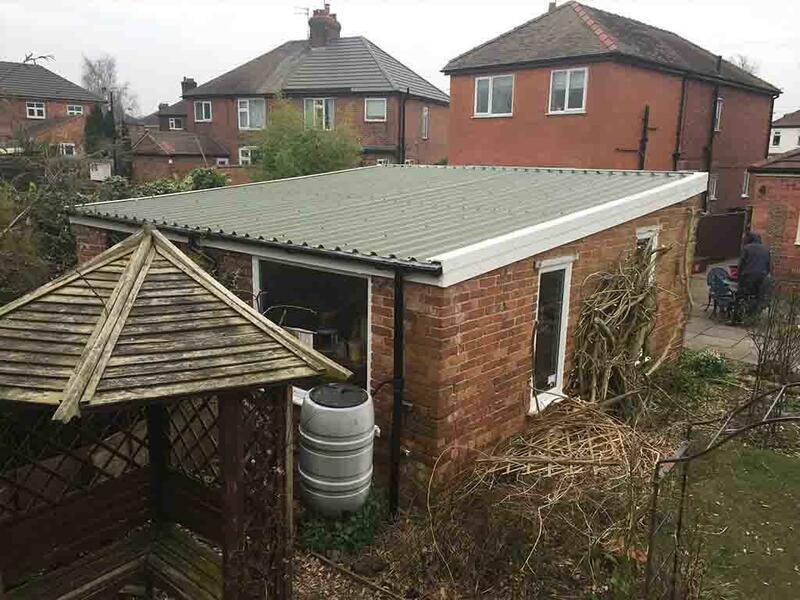 DRIPSTOP membrane is fitted as standard with our roofing systems ensuring maximum protection and durability for the lifespan of the roofing system. 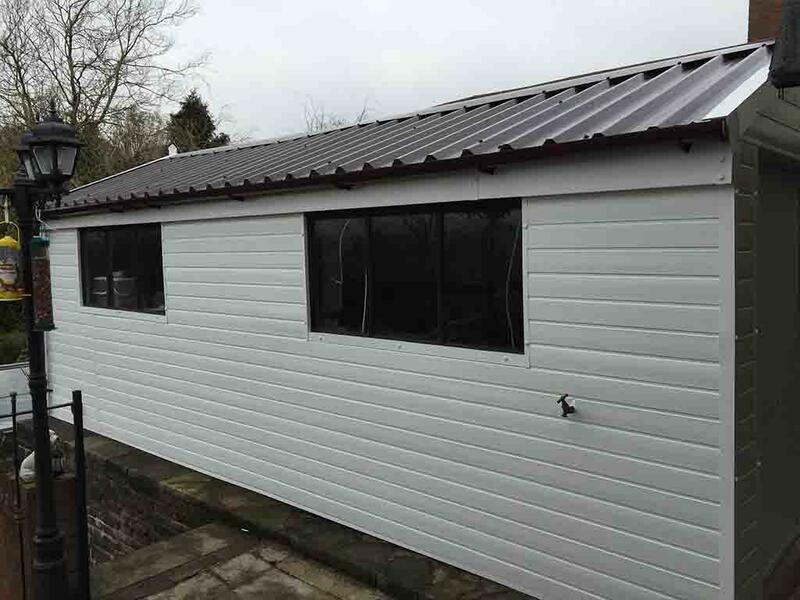 We include uPVC Fascia and Guttering as part of garage roofing system to ensure you get the same quality and lifespan as the roofing panels. 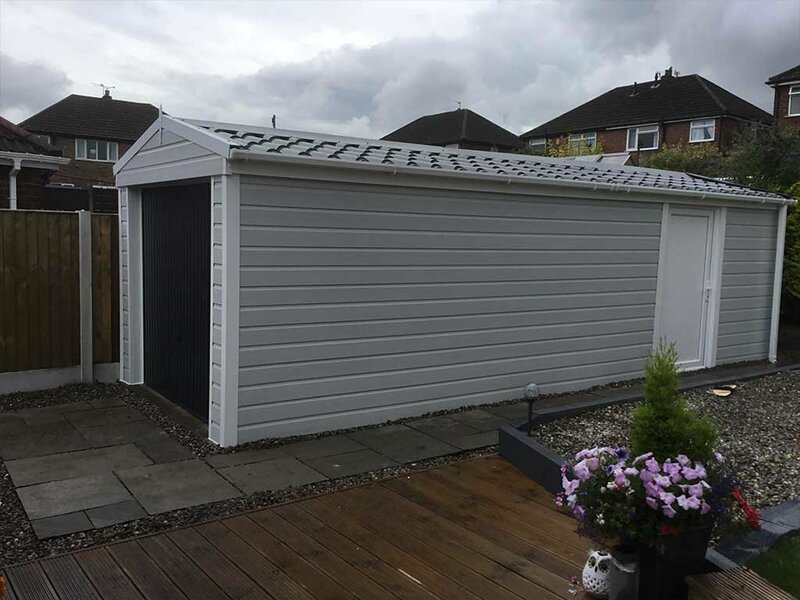 By using low maintenance products such as uPVC you don’t need to worry about maintenance throughout the year or during the winter period, Whether we are just replacing a Garage Roof or a complete Garage Refurbishment we always use uPVC Fascia, Cladding, Guttering and Trims. We install superior, low maintenance garage roofing systems engineered to the highest standards which will ensure the lifespan and functionality of your garage whilst improving its overall appearance. The clear advantages and features provided by our profiled garage roofing systems means that when it comes to having your garage roof replaced, it is our only recommendation. 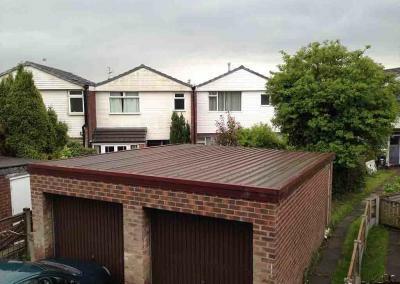 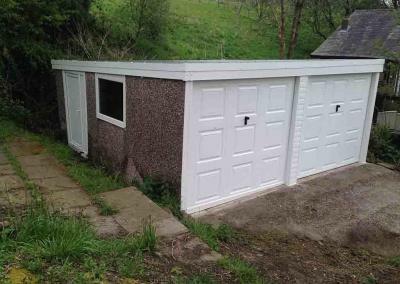 You can have just your garage roof replaced or a full refurbishment in just 3 simple steps.